The professional social network is now in Satya Nadella's hands. 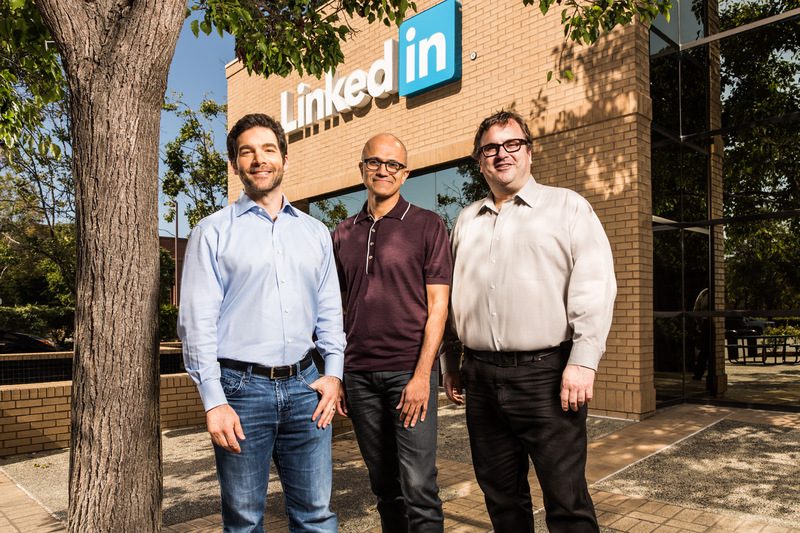 You probably didn't expect your week to start this way: Microsoft has acquired LinkedIn for $26.2 billion. The company plans to integrate the career-oriented social network into many of its apps and services, including Office, Skype and Cortana. You'd get the details of the person you're meeting for a business deal, for example, or get help from an expert when you're working on an Office 365 project. Microsoft is vowing to maintain LinkedIn's overall independence, including the role of CEO Jeff Weiner, and hopes to close the deal sometime in 2016. According to Microsoft's Satya Nadella, LinkedIn is a perfect fit. You need a "connected professional world" to get things done, he says, whether it's getting help with a spreadsheet or fleshing out details in a customer relations tool like Microsoft's Dynamics. And while Microsoft is purposefully keeping itself at arm's length, Nadella sees the potential for revenue through subscriptions and (like it or not) targeted ads. Suffice it to say that this is a huge move for Microsoft. It's entering the social networking world in a big way -- while LinkedIn isn't direct competition for Facebook or Twitter, its 433 million members are nothing to sneeze at. The acquisition is also proof positive that Microsoft under Nadella is reducing its dependence on Windows and putting more of an emphasis on cloud services. This is as much about acknowledging a changing computing landscape, where Windows doesn't necessarily dominate, as it is a bid to become a crucial service provider.